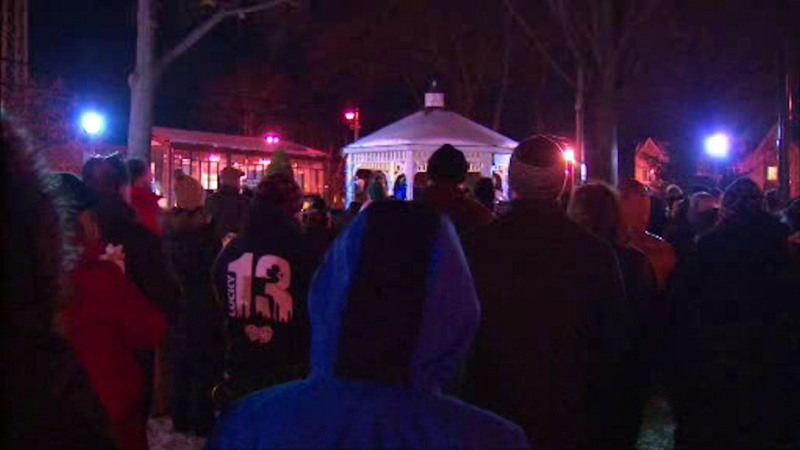 MALVERNE, Long Island (WABC) -- A candlelight vigil was held on Long Island on Monday night in honor of a well-known NYPD detective who suffered a heart attack last week. Family, friends, and neighbors of Detective Steven McDonald, who remains in critical condition, attended the vigil in the village of Malverne in Nassau County. The detective was shot in the line of duty in Central Park in 1986 and has been paralyzed from the neck down ever since. McDonald is known for publicly forgiving the 15-year-old shooter who left him a quadriplegic following the shooting.